WATCH: USA Memory Champion Nelson Dellis’ Secrets to Remembering Everything! Unfortunately, I could not go this year. If you are attending the competition and have a chance to speak with the press, please mention Mnemotechnics.org. We have many thousands of posts of free content in the wiki and forum and it’s a great place for new mental athletes to develop their skills. It would be great to have the community keep growing with new members! 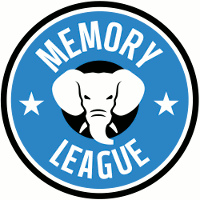 Have you seen any other news coverage of the USA Memory Championships? Please post links in the comments below. The 2013 Slovenian Memory Competition is also taking place tomorrow. I haven’t heard much news about it yet, but I’ll post about it as soon as the results are in. Mnemotechnics.org is growing rapidly, and it’s time to replace our outdated section of memory training scripts with tools that are much higher quality. I’ve mentioned it in the forums a few times, and it’s almost ready. If you would like an email when the new training scripts are launched, sign up to be notified about the Mnemotechnics App. More news about that soon. Best of luck to all the competitors in New York City and Slovenia tomorrow!